IF you think putting up the Christmas tree is a big task, spare a thought for Santa’s Magical Kingdom producer Keith Brown, whose successful Christmas extravaganza is opening in Perth on December 9. The event has sold out in Melbourne for the last four years since it began and now a second show in Perth will mean double the Christmas decorating. Presented by Showtime Attractions, Unique Attractions and FJF Amusements, Santa’s Magical Kingdom is the result of directors Brown, Tony Gasser and Jamie Pickett deciding to take their 23 years of experience building Santa villages and present festive fun on a much bigger scale for the whole family. 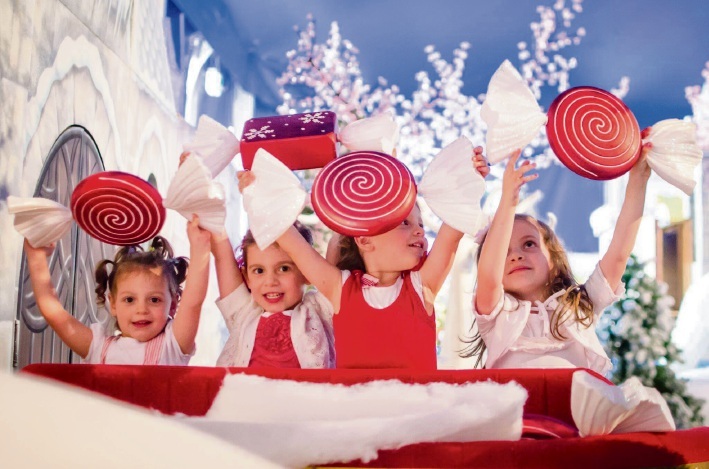 The three-hour sessions include walking through a winter wonderland with falling snow and ice skating, a Christmas Craft village, storytelling with Mrs Claus, amusement rides and Gingerbread Land, where you can decorate a gingerbread man. “In Melbourne last year alone, we went through just under 50,000 fresh gingerbreads,” Brown said. There is also a 40-minute International Circus Christmas Show, thanks to Gasser’s family background in the Swiss circus industry, which includes Brazilian motorbike riders, a hula hoop act, trapeze artist, fairies and the jolly man himself, Santa. Brown said he wanted to bring Santa’s Magical Kingdom to Perth in previous years but the logistics were only possible now thanks to the newly constructed, multi-purpose Crown Pyramid, which was custom- designed by Gasser. “We wanted to come to Perth but it was about having the right versatile venue,” Brown said. The clear-span tensile two-peak structure is made from Italian fabric at a width of 59m and 105m in length and has the capability to hold up to 5000 people at concerts, exhibitions, functions, trade shows, productions and displays. Santa’s Magical Kingdom will be the inaugural event for Crown Pyramid. “It’s about bringing the magic of Christmas to life,” Brown said.